Alright! I have quite a bit to talk about, so let’s get right to it. First, I was in the latest video of Some Jerk with a Camera! I play Doc Brown #30, the first Doc Brown you see in the Doc Brown montage segment of this video. I’m really proud of this tiny cameo as Some Jerk (aka Tony Goldmark) has one of my favorite online shows of all time. It was really fun to do and the final product of the video was excellent. I highly recommend not only this video but his entire video selection. Next, I have a video of my very own that I’d like to share with all of you! It’s a parody of the Frozen song “Do You Wanna Build a Snowman?” I called it “Do You Wanna Make a Video?” I had a lot of fun with this one as well. I am not sorry for my singing. Enjoy! All lyrics, copyright info, other things are in the Youtube page’s description section. All that said, I’m also moving on to a new stage in my life. I’m officially done with my education (at least, for the foreseeable future). I’ve been in school for the last 20 years. Now, with an MA in Writing (I’ll be graduating in June! ), I need to grow up a bit. I need to get a job. I need to be a responsible adult. Because of this, I may not have the same amount of free time as before. I may only be able to get a video out every few months or so. Still, just because they may take a while doesn’t mean Laura and I (yes, she’s coming back on as my video editor) aren’t working as hard as we can to make the best content possible. I’m nervous for the future, but I’m also excited. New things are in store for me. A new chapter of my life is starting. I hope I can make it as exciting and fun for you as it’s going to be for me. Before we begin, let me just say that, although I know this isn’t the pilot episode of the series, it is the first episode listed on Netflix. As such, I just decided to watch it first. On that note, let us begin. When I was growing up, I watched a lot of the sitcoms of the 90s. One of these sitcoms was Sabrina the Teenage Witch. I remember liking it alright, even if some of the jokes were lame and the Salem the Cat puppet was atrociously obvious. Still, Sabrina was pretty popular back in the day. Popular enough that she got a spin-off of sorts in the form of today’s subject. 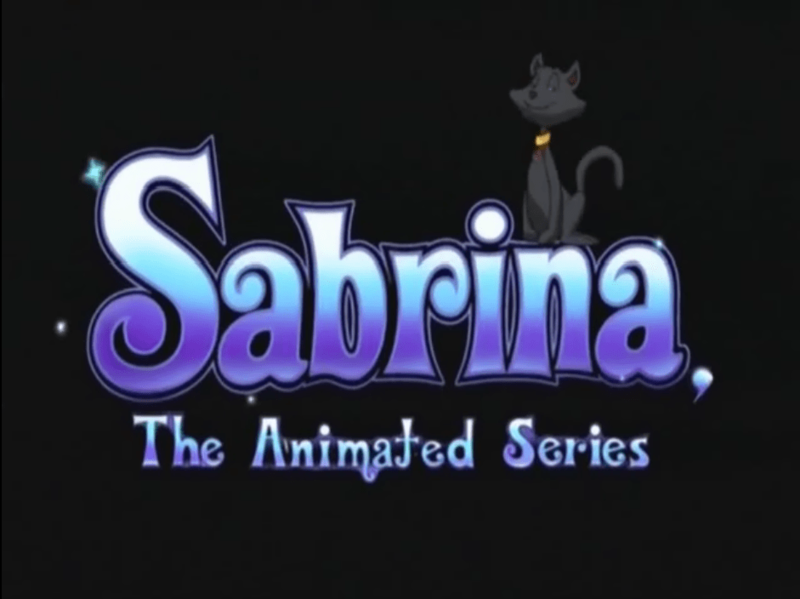 This is Sabrina the Animated Series.